In this cosy city café there is a varied assortment of drinks and food, including English High Tea, Broers Brunch and drinks at the large bar. Two people can enjoy a lovely lunch here, also dinner in the evening at this is also possible for larger groups. (Almost) everything is possible here. 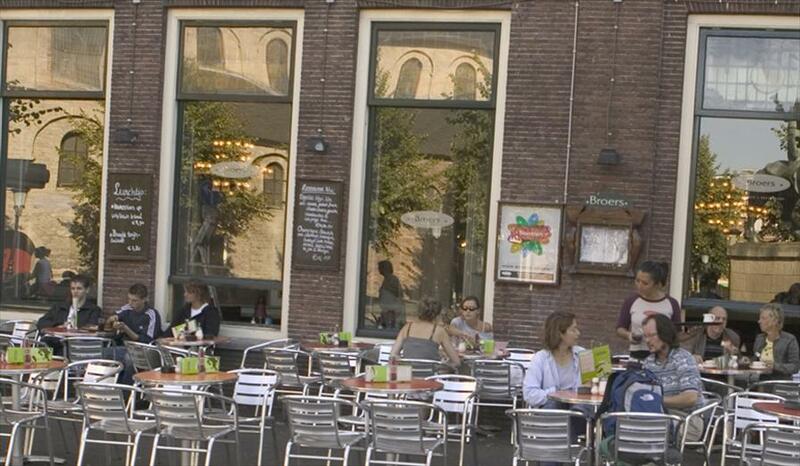 Broers has been a meeting place for 15 years for the Utrecht’s crowd, but also for people who live further away. This café attracts a certain kind of public and this is why everyone feels at home. Because of the wide type of clientele this establishment is never a boring place to be, always cosy. The atmosphere at Broers always has a good feel to it. Because of the large space there is always the possibility for large groups to come and eat together, and there are also some snug little places to find. The whole ambiance is very colorful with the orange walls, and purple upholstered chairs. 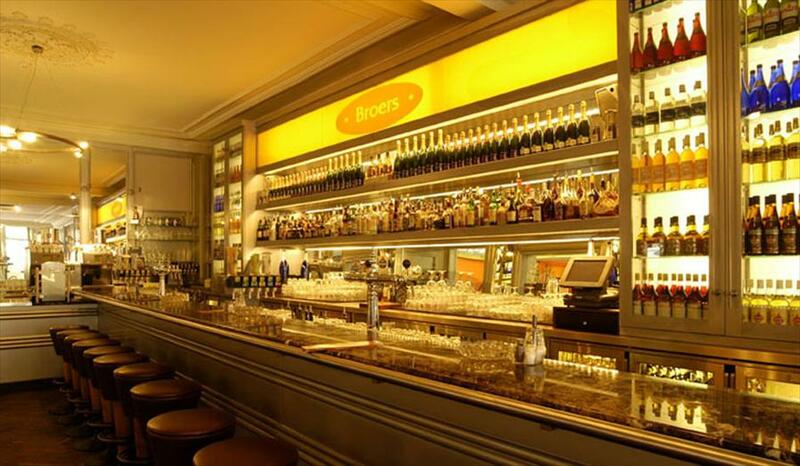 Broers opened up 15 years ago by the brothers Paul and Olaf Westra.